Bio: Kat Taylor works in service of restoring social justice and environmental well-being to build a more equitable and inclusive world. Kat is active in a variety of social enterprises and philanthropic ventures on the West Coast focused on deep systems change. 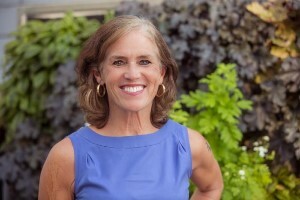 Currently, she serves as Co-Founder and Co-CEO of Beneficial State Bank, a Community Development Financial Institution (CDFI) and certified B Corporation whose mission is to bring beneficial banking to low-income communities in an economically and environmentally sustainable manner – and to change the banking system for good. Kat believes it’s not enough to dream that our philanthropic resources could clean up damage after the fact; we must instead get fundamental institutions, including business, aligned with the public interest in the first place. Beneficial State Bank is the result of aligned mergers between OneCalifornia Bank, which Kat and her husband, Tom Steyer, founded in Oakland, CA, ShoreBank Pacific and Pan American Bank. Beneficial State Bancorp also owns the majority of Albina Community Bank in Portland, OR. Collectively the two banks operate 17 locations throughout California, Oregon and Washington. Beneficial State Bank’s revolutionary ownership mandates that any distributed profit be invested in the low resourced communities it serves and the environment upon which we all depend. With strong organizational commitments to diversity, inclusion and environmental justice, Kat’s work is focused on advancing a fair, regenerative, and prosperous economy for all. Kat is also a Founding Director of TomKat Ranch Educational Foundation (TKREF), dedicated to inspiring a sustainable food system through ranching, training, tours, research, and school food and garden programs. TKREF owns the social enterprise LeftCoast GrassFed, humanely raising cattle and other livestock for the benefit of healthy soils. Kat serves and has served on many non-profit boards including the Harvard Board of Overseers, Ecotrust, Good Samaritan Family Resource Center, UC Davis – Agricultural Sustainability Institute, ProPublica, CuriOdyssey, Insight Prison Project, KQED, and Yerba Buena Center for the Arts. She graduated from Harvard College and earned a JD/MBA from Stanford University. Tom Steyer, Kat’s climate/energy/justice activist husband, and she have four grown children, each pursuing their one wild and precious life, too.